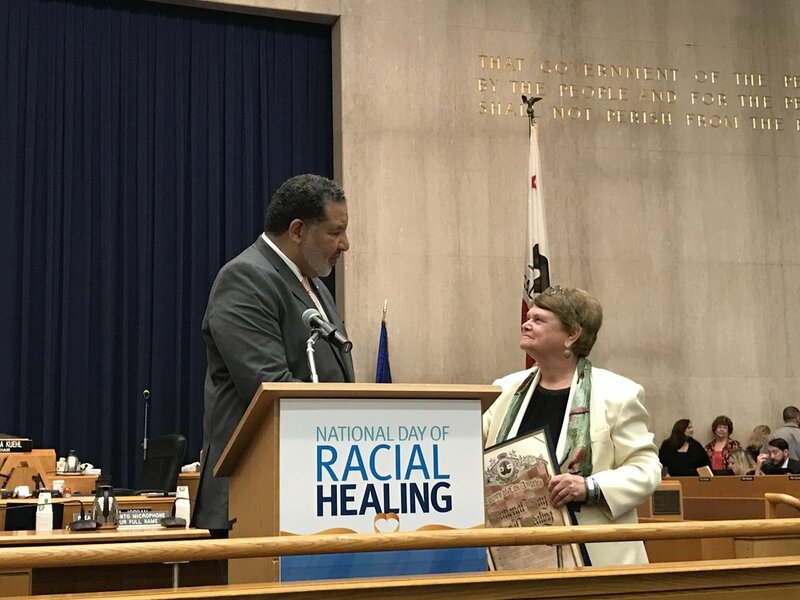 On January 16, 2018, elders, mothers, fathers, and youth joined together in Los Angeles for the National Day of Racial Healing. Initiated by the W.K. Kellogg Foundation in 2017, the day is a call for intergenerational healing, a celebration of our common humanity, and a commitment to action to create a more just and equitable world. In Los Angeles, we kicked off the momentous day at the powerful Community Coalition space on the corner of 81st and Vermont in South Central. We gathered here for two community circles facilitated by Kevin Fong and Jerry Tello. 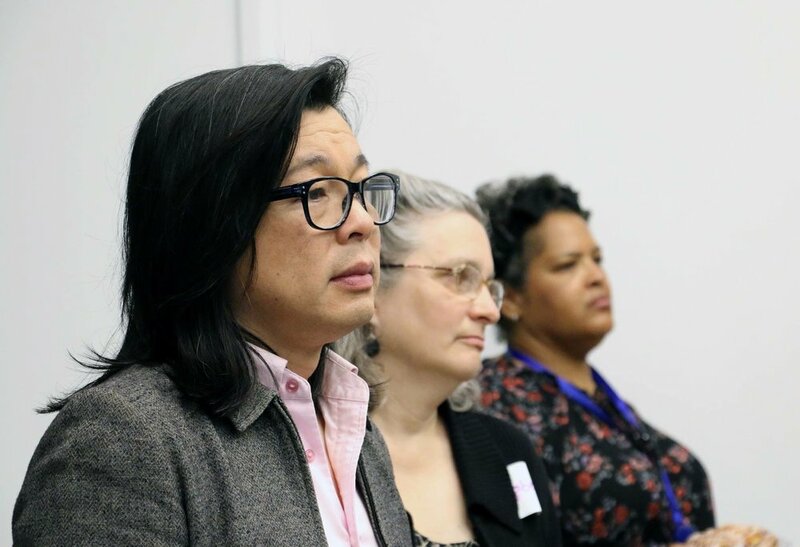 In our circles, we listened deeply, shared from our heart space, and had a chance to reflect on our perceptions and personal experiences with race. As we closed the circles, it was undeniable that our bonds strengthened through the power of our collective stories. Feeling a little lighter than when we arrived, we made our way downtown to the Los Angeles County Board of Supervisors meeting for a proclamation ceremony honoring the National Day of Racial Healing. What made this event particularly special is that we were joined by Reverend Alvin Herring, W.K. Kellogg Foundation Director of Racial Equity and Community Engagement. Rev. Herring received the proclamation from Supervisor Sheila Kuehl and shared these inspiring words on such a historic day. The Reverend Alvin Herring of the W.K. Kellogg Foundation receives a proclamation from Los Angeles County Supervisor Sheila Kuehl. In the afternoon we headed to A Place Called Home, an inspiring and dynamic youth center located in South Central. The center offers educational programs, counseling, arts programs and much more. We engaged with the youth present, shared a bit about the National Day of Racial Healing and, most importantly, held three community circles with various age groups. In preparation for the circles, the youth held discussions with staff and drafted the prompts that guided the ensuing discussions. Knowing that the youth play a crucial role in healing our communities now and in the future, we were more than thrilled to engage in this dialogue with them and build momentum towards this critical work. The day ended full circle at Community Coalition, where a cross-sector group (County Govt, City Govt, philanthropic, nonprofit, and business leaders) came together for an intimate and personal dinner conversation. The dinner was a preview of EmbRACE L.A., an initiative created by Los Angeles City Council President Herb J. Wesson, Jr. to unify Angelenos and empower communities through citywide conversations about race and racism. The dinner provided a collective space for reflection and reaffirmed our joint commitment to work together for racial equity and collective healing in Southern California. Sign-up here to learn more about EmbRACE LA’s 100 dinners taking place this April. To see photos from the day, click here, and to learn more about the National Day of Racial Healing visit www.dayofracialhealing.com. Send us your ideas on what people can do for the National Day of Racial Healing.